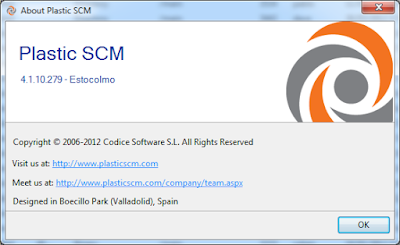 Since we released Plastic SCM 4.1 a few weeks ago, we have introduced a new numbering schema. Our goal is to make it easier to understand especially concerning compatibility between client and servers. Common: identifies compatibility between client and server (inside the same major version!). It will be the number in commontypes. We are going to make it VISIBLE so customers understand when a version is compatible. Go to your “about form” and check the 3rd number: is it the same as the third one in the version you’re about to download? Then the new version is fully compatible and you can update clients and servers separately, they’ll continue to run. If they don’t match, it means you’ve to upgrade both clients and servers, since your current version and the new one are not compatible. We try to minimize compatibility changes, but sometimes we’ve to make changes on the communication API and we break compatibility.